The Nagano/Niigata region boasts some of the best and most plentiful ski terrain in all of Japan, situated in picturesque locations including the Japan alps. With Hakuba, Myoko, Shiga Kogen and many more closely positioned, the Nagano/Niigata region makes for a fantastic ski vacation in Japan. To top it off, most of the ski resorts in this region are either located in an Onsen (hot springs) town or have hot springs readily available (some with bathing snow monkeys). Japan is known for it's deep, but not it's steep. Nagano however, is the exception where you'll definitely find long verticals and gnarly steep terrain if you know where to look. ​The Hakuba valley, home to the 1998 olympics, is made up of 9 ski resorts with more then 140 lifts and 200 plus runs. 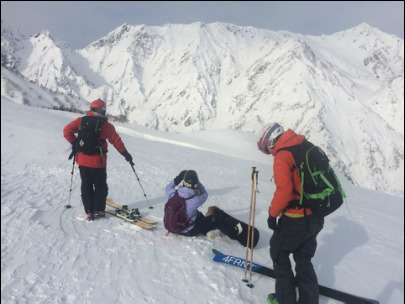 Situated in the Northern Japan Alps, Hakuba offers breathtaking views of its big mountains and with an incredible variety of terrain offers something for skiers/riders of all levels to enjoy. You will find that Hakuba provides a good blend of Japanese culture/cuisine and western bars/food joints. Its not a crime to crave a pizza or a good burger from time to time and when you do, Hakuba won't let you down. The area is very well known for its Soba (buckwheat noodles) and of course Onsen (hot springs). Don't miss out on the best Japanese after ski experience -- Onsen! 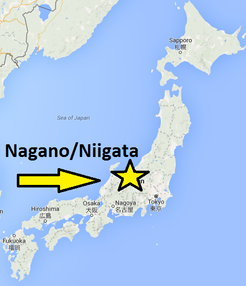 Myoko Kogen is located just north of Nagano prefecture, in the snowy region of Niigata. Due to its close proximity to the sea of Japan, Myoko receives an annual average snow fall of 13 meters! Like the Hakuba valley, Myoko Kogen is made up of a number of different ski areas, including Akakura onsen, Akakura kanko, Suginohara and is close in proximity to other large ski resorts i.e. Shiga Kogen, Nozawa Onsen and Madarao. As one of the oldest and largest ski areas in Japan, Myoko is properly established and maintains its local culture and traditions. 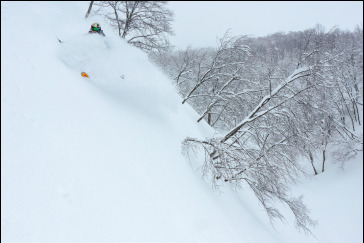 Although Myoko has been gaining more foreign publicity in recent years, as compared to Hakuba and Niseko, it can still be considered off the beaten track. If you're looking for a true Japanese ski experience, complete with onsen, cultural events and fine Japanese cuisine, Nozawa Onsen won't disappoint. A very popular onsen town among Japanese located in Nagano prefecture, Nozawa Onsen is also one of the top ski resorts in Japan. 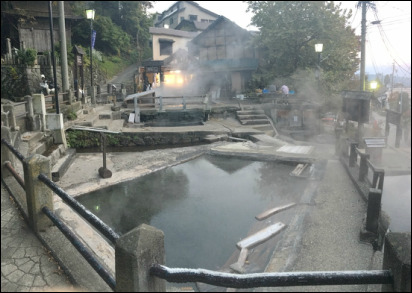 Experience a traditional Onsen (hotsprings) town very much alive, with mom and pop shops scattered across the labyrinth of cobblestone alleyways, rising with steam from the area's abundant hot springs. With traditional Ryokan abounding, bath houses free to the public and Izakaya selling local sake, you're sure to embrace Japan's culture at Nozawa Onsen. Don't miss the town's annual fire festival held each year on the 15th of January! Shiga Kogen is the largest and highest ski resort in Japan. With 21 different ski areas, interlinked by ski slopes/lifts and accessible by one lift pass, Shiga Kogen offers much to explore. Located at the highest elevation out of any ski resort in Japan, the snow quality is excellent and the panoramic views on a blue bird day are stunning. Not to be forgotten is Shiga Kogen's close proximity to Japan's extremely popular snow monkeys! 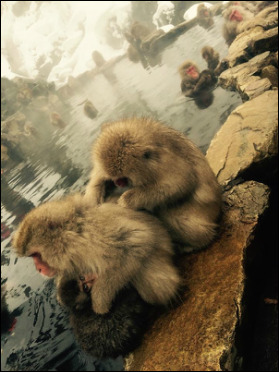 Located just below the ski resort, the snow monkeys of Jikokudani can be seen soaking in the area's natural hot springs. Shiga Kogen ski resort is not a town and is not the place to go if you're looking for a vibrant night life. The ski area does offer great ski in, ski out accommodation and the Shiga Kogen beer tap room (top notch local microbrewery) located at Chalet Shiga is a superb place to unwind.